T-ara on the cover of Thailand’s I Like Magazine. The girls will visit the country next month for a concert with MBC. 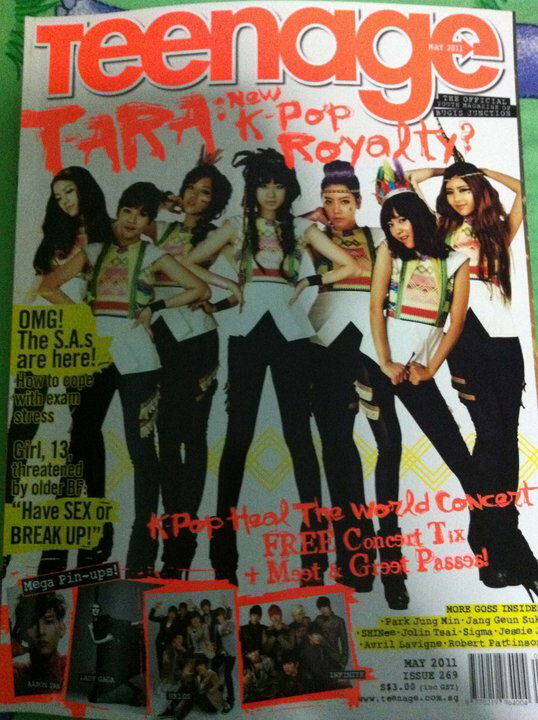 T-ara on May 2011 issue of Singapore’s Teenage Magazine. Looks like they are using a picture from Korean version of Yayaya.